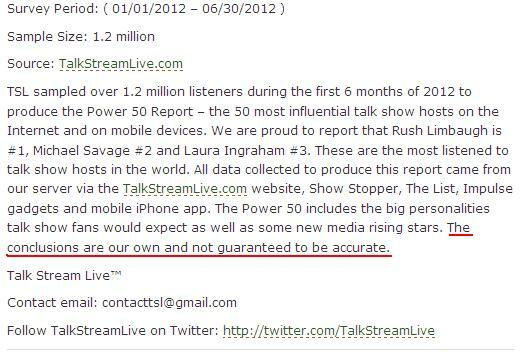 ‘The Power 50’ “Most Influential Talk Show Hosts on the Internet” Really? Click to access full list. 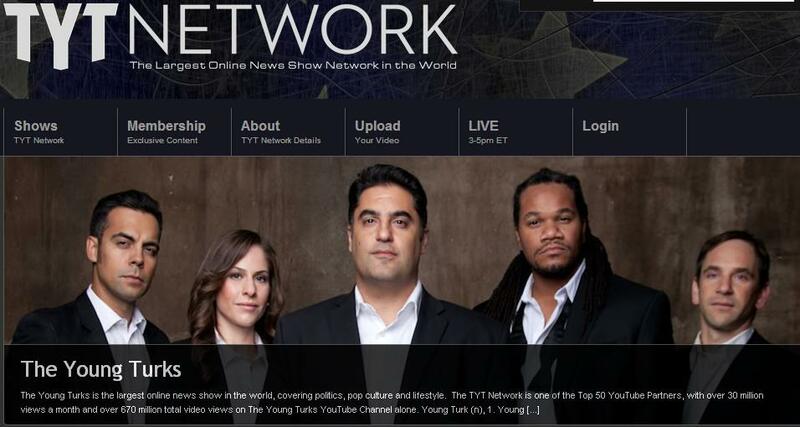 most influential conservative…]”, because even though I haven’t been a fan of “The Young Turks”(TYT) for nearly 2 years, yet I maintain some level of respect for Cenk & his teams’ analysis, they should definitely be on this list of most influential online talks shows via stream, and otherwise. I also no longer listen to quite a few shows on this list for the very same reason, but of course in this case, for their unadulterated right wing irrational bias. It’s too bad most the programs featured on this list are ‘so influential’, for this list is no doubt an eye opener as why the country is in such a bad state of affairs. Found in the footnotes, it becomes clear to an introspective reader the author(s) want the shows featured on their list to be the most influential, as opposed to them actually being such in reality. Being an independent, free thinking American, I can honestly admit TYT does cover a nice range of topics, and in some instances objectively, but often times, they never make the leap over the whole left vs. right mind numbing political sports-entertainment. All one need do is look to history and one can clearly see these political tactics solve nothing, but rather worsen things. Another program that seems to be omitted from this list would be that of “The Alyona Show”, though I shouldn’t be too surprised, as the neo-conservative right wing base labels anything produced from RT as a ‘Kremlin conspiracy against the United States; mentally conditioning their listeners to follow suit. If anyone wants to get technical about ‘streaming’, Alyona’s show is streamable online via Youtube, as linked on my homepage, and if you have a smart phone, the RT_America app. allows you to stream RT’s channel live as well. While host Alyona Minkovski does tend to sway her views moreover to a left(liberal) perspective, overall she comes off as an independent who seeks justice over political party politics. She covers a diverse range of issues on her show from finance, energy, banking, social policy, and of course, politics on capitol hill. I continue to be a regular viewer of her show, especially given the fact that she covers news issues that actually matter! Well Valente Journal readers, I want to hear your feed back. I’m not going to create a list or poll that would have you choose from pre-selected shows/hosts. Given the list submitted was clearly tailored, which talk shows/hosts do you think are the most influential personalities on the internet & why? I want to know your top 5 list! This entry was posted in Culture, Entertainment and tagged A Valente Journal, Alyona Minkovski, Bias, Entertainment, Internet Radio, Media, Neo Conservatives, Power 50 Most Influential Talk Show Hosts, Radio Shows, Talk Show, The Alyona Show, The Young Turks, TYT. Bookmark the permalink. 1 Response to ‘The Power 50’ “Most Influential Talk Show Hosts on the Internet” Really? I listen to them all Dennis Prager Rusty Humphries and Mike Gasllagher should be higher based on the quality of their shows. Tammy Bruce is GOOD but not as high as she is here. George Noory does not belong on the list, he is in a class by himself. Where is Heidi Harris Alan Stock Curtis Sliwa ? Neil Bootz is retired….. Michael Medved is not genuine Bill Bennett if off center and slightly behind the curve. Red Eye radio is not consistent.